I tried to log into my demo Orchestrator 5.5 appliance today and got rejected by the webclient, downloaded Orchestrator client (“Cannot connect to host.”) and configuration pages. Going to http://ipaddress gave me a error 500 – Internal Server Error. A quick check told me that the vCO service wasn’t started. Logging into the Orchestrator Configuration GUI I found out the trial license had expired. 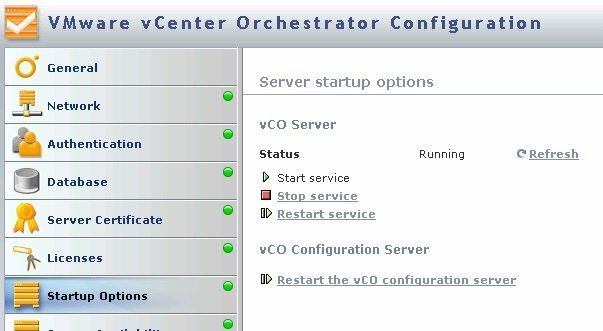 The vCO appliance was not set to get its license from vCenter (which had been updated with a new license). 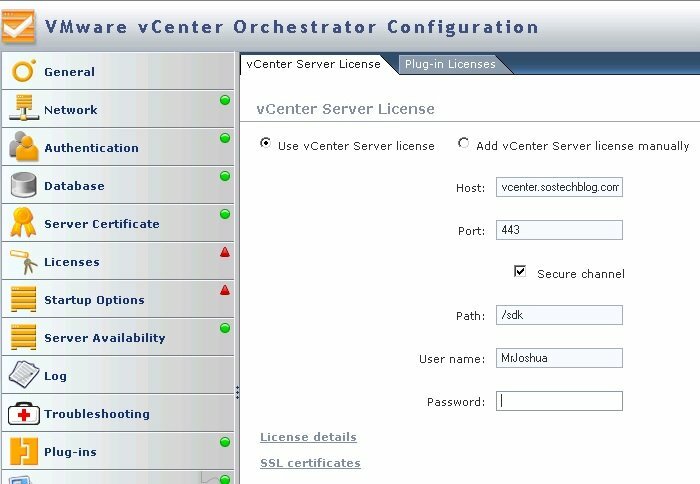 Select “Use vCenter Server license” and enter your vCenter info. Note, while testing this out I found that the vCO Server service might start, but if the license is out you will never be able to login. So if you are tying to connect to vCenter Orchestrator and can’t login or the screens are just white, check out how the appliance is licensed. This entry was posted in Computing, Virtualization, VMware and tagged troubleshooting. Bookmark the permalink. Awesome, cheers for that, sorted the problem straight away!